6 / 28 – 9 / 7 / 2014, Opening: 6 / 27, 7 p.m. The Kunstverein in Hamburg presents „A Paradise Built in Hell“ in cooperation with Arsenal – Institute For Film and Video Art Berlin, the International Summer Festival Kampnagel Hamburg and with the kind support of the Kinemathek Hamburg. The exhibition „A Paradise Built in Hell“ takes the 16mm format as a starting point to reflect on the material and its significance in different social and artistic movements. The show pursues the question regarding the relevance of 16mm, particularly since the digitization of cinema. In the past years, numerous 16mm artworks have been created in the medium of film, showing that the material is experiencing a renaissance. The introduction of the 16mm film format was a revolutionary event, for it granted young filmmakers, who were inspired by Direct Cinema at the end of the 1950s and wanted to shoot in an independent and quick way, access to a medium that was until then reserved to the movie industry. The democratization of film production provided new latitude for filmic experiments and artistic forms of expression beyond the mainstream. 16mm film thus became a companion of the movement of 1968, for example, a medium of sociopolitical change proving to be a carrier of new ideas, ways of thinking and utopias. Rebecca Solnit’s eponymous book that lent the exhibition its title examines the social dynamics and loyalties arising from disastrous conditions. It is about the spontaneous development of civil societies after catastrophic events that give rise to humanity and altruism and put state control to the test. For the 16mm film, the collective has always been a constitutive moment. In the production context or accompanying the formation of an alternative film scene, social spaces are created via artistic formats that give rise to fundamentally democratic and collective—and ultimately social—structures. The presented artworks transfer the shaping of utopia to current debates and raise questions pertaining to projection as speculation, with the aim of analyzing current contexts. Projection, which permeates this project as a metaphor as well, is addressed on the opening evening with the screening of Anthony McCall’s „Line Describing a Cone“ in its original form from 1973, which is rarely shown today. According to Liam Gillick, projection stands for the fundamental state of stress and fear in contemporary culture as well as for the utopia emerging from seemingly hopeless situations and offering room to envision society in a new way. The exhibition is divided into three parts, the architectural concept of which was created by Studio Miessen from Berlin. There is a 16mm cinema hall where a film is shown each evening at 6 p.m., followed by a talk. The films are almost exclusively from after the year 2000, the approximate turning point after which the use of the format in face of the digitization of cinema can increasingly be regarded as an artistic statement. Filmmakers and artists include Yto Barrada, Yael Bartana, Hannes Böck, Maya Deren, Harun Farocki, Romeo Grünfelder, Sharon Lockhart, Jennifer Reeves, Ben Rivers, Ben Russell, Adriana Salazar Arroyo, Shuji Terayama, Clemens von Wedemeyer, Frederick Wiseman, and Akram Zaatari. At regular intervals, selected historical films will be shown, whose institution-critical or sociopolitical significance is still outstanding today, e.g., by Octavio Cortázar, Germaine Dulac, Jack Smith, or Hollis Frampton. But voids will also be addressed, for example, based on the work of Mohsen Shahara, whose fragmentary estate refers to the utopia of an independent cinematic art in Egypt in the 1970s. The second part of the show comprises visual artworks (almost) without moving images that are dedicated to the theme in different artistic formats. Works by Guillaume Cailleau, Linda Christanell, Martin Ebner, Maria Eichhorn, Heinz Emigholz, Helmut Herbst, Sharon Lockhart, Marie Losier, Ludwig Schönherr and Mohsen Shahara. This presentation is updated by the debate on the currently propagated end of the analog 16mm format, questioned by artists such as Tacita Dean. The third part of the exhibition offers a brief history of the 16mm format in Hamburg, touching on its memories and myths. 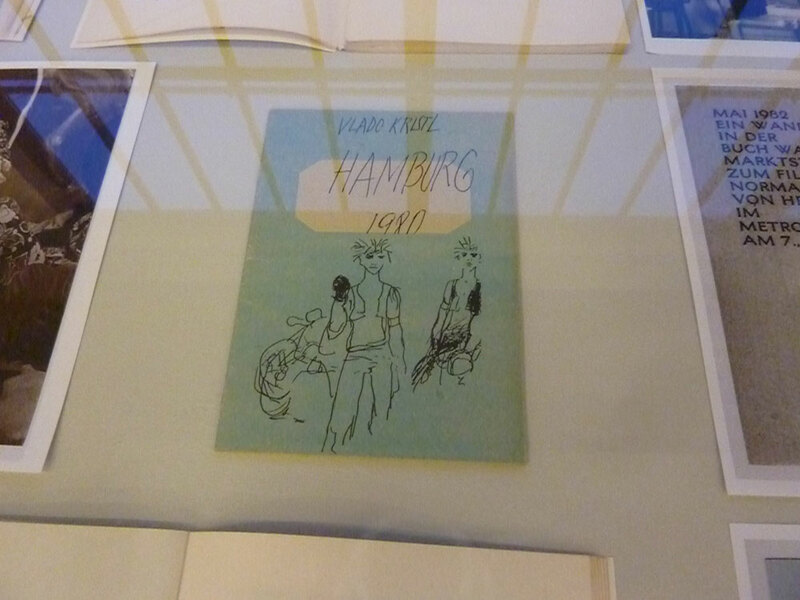 The so-called Hamburg School plays a preeminent role in the history of German cinema. As early as the 1960s, its protagonists, including Christian Bau, Helmut Herbst, Karl-Heinz Dellwo, or Klaus Wyborny, had established close ties with the American experimental film movement, which still resonates in today’s artistic debates on the 16mm format. With the documentary part of the exhibition and the format of “Hamburger Avant-garde / Conversations” curated by Maike Mia Höhne, Corinna Koch, and Bettina Steinbrügge, we would like to initiate a reappraisal of this checkered and still lively cinematic development in the city of Hamburg. Guests: Christian Bau, Heinz Emigholz, Romeo Grünfelder, Werner Grassmann, Ulrich Gregor, Helmut Herbst, Andy Hertel, Christian Jankowski, Rolf Peter Kahl, Peter Ott, Gerd Roscher, Angela Schanelec, Timo Schierhorn, Uwe M. Schneede, Bettina Sefkow, Thomas Struck, Monika Treut, Christoph Twickel and Klaus Wyborny. In addition, a filmic performance program will take place in August in cooperation with the International Summer Festival Kampnagel Hamburg. 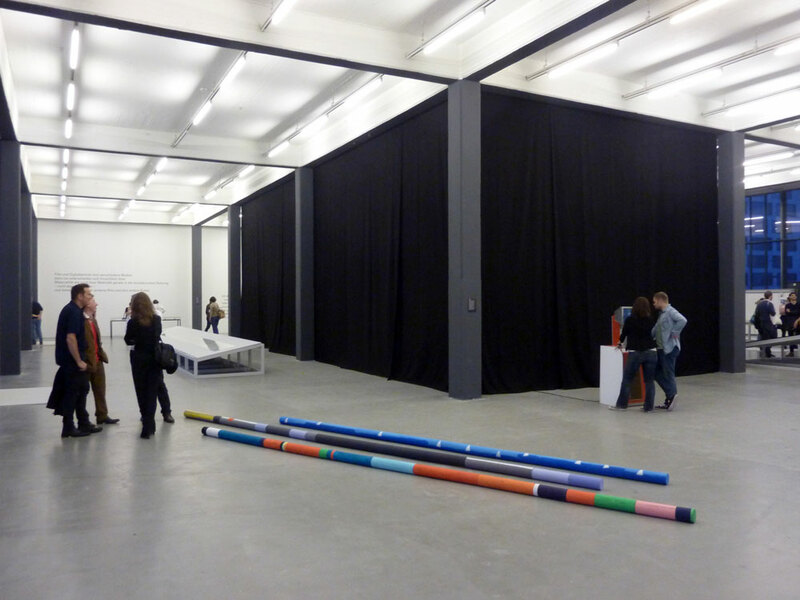 The exhibition is curated by Bettina Steinbrügge and Stefanie Schulte Strathaus.